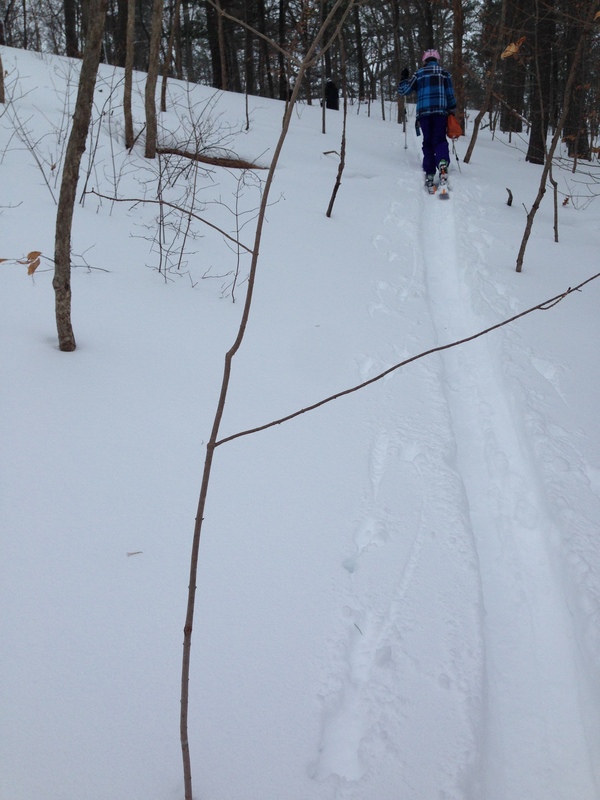 On Tuesday the 27th, after the day’s blizzard had stopped, my family went for a backcountry ski hike in Sewall Woods, a very small wooded area in our town. We started from our house; with the snow waist-deep in places, and the roads closed to traffic, we could just walk right across town. 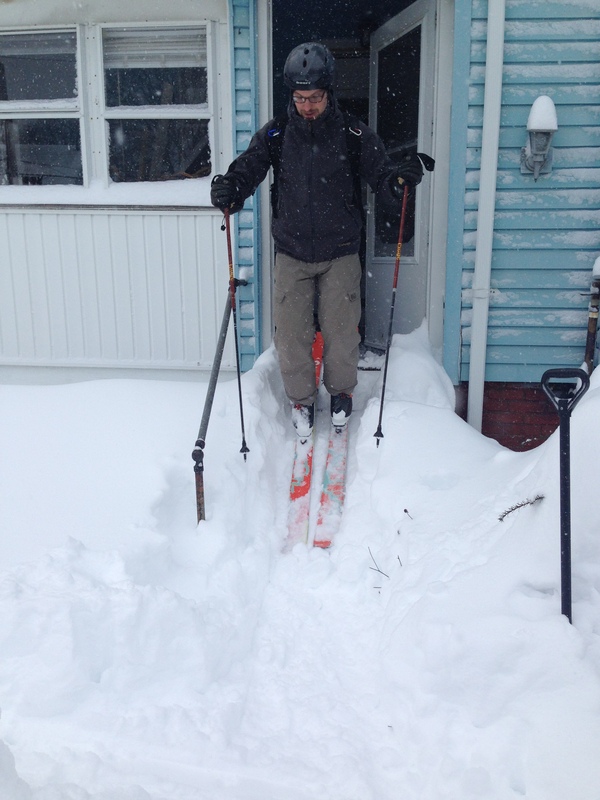 My dad skiing down our front steps. From our house we skied over to the elementary school just down the road, and then went up the hill beside it. Dad and me in the school parking lot. We then continued up the hill, and soon reached Sewall Woods. We entered the woods from the north. My sister hiking up into the Woods. 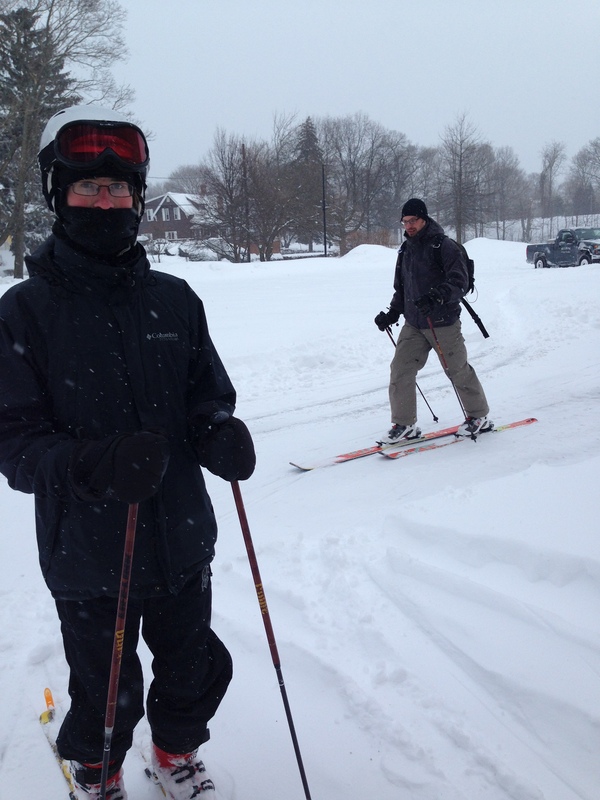 Once we had reached the high point of the area, we stopped and removed our skins to ski down. 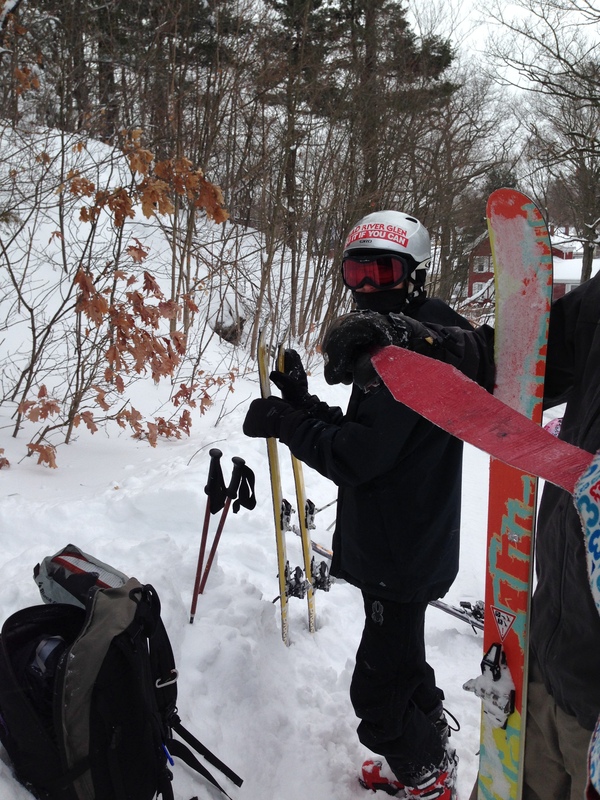 We then skied down the south side of the woods, and then went up again. After we were done with that, we went back down the way we had come. 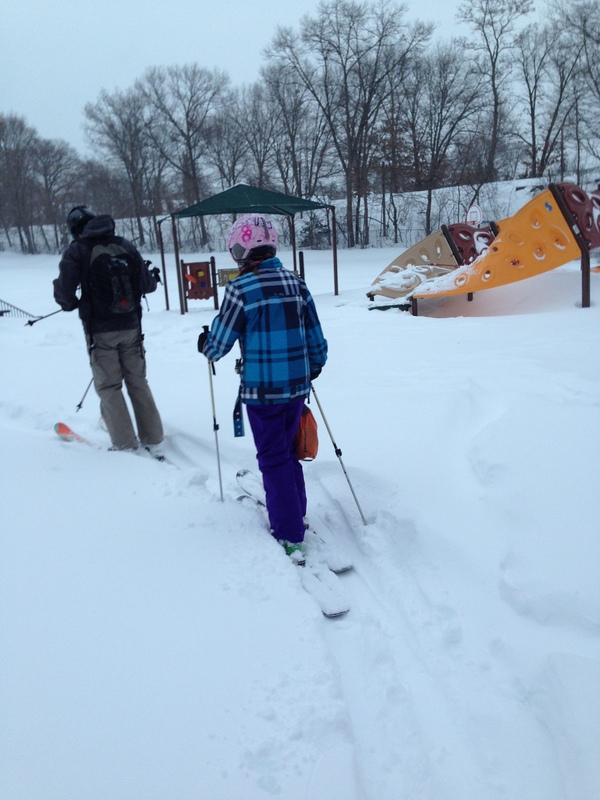 After we exited the woods, we skied down the hill beside the elementary school, and then proceeded home. 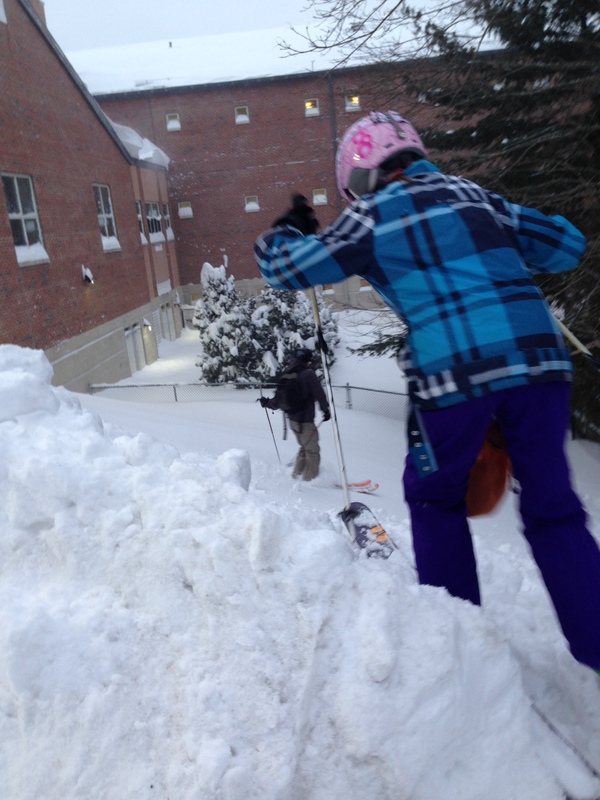 Trekking through the school grounds on the way home. Eli, thanks for sharing this- looks like a very fun day!